The most frequently performed treatment at Dr Leah Skin Clinics has just been revealed. An audit shows that between 2015-2016 more patients requested Botulinum Toxin injections (Botox) to address frown lines and wrinkles than any other, and the number of men opting for the treatment has risen most steeply. The Moorgate clinic in London now has a 40% male clientele, up from 31% on the previous year - which reflects the boom in male grooming in London. A similar upward trajectory is also being experienced in the Essex clinic. Statistics show that in the City of London and Essex where the clinics are located, the demand for non-surgical treatments such as Botox peak at key periods in the year, with a spike before Christmas and around bonus time in the New Year. Men are thirsty for more information about ways to improve their looks, Dr Totton added: “When we upload videos of treatments of men having Botox treatment on social media they out-perform all our other videos. Our most popular is of a male patient who is the co-founder of a media company which attracted 6.5k. 42 year old Bird Lovegod who is CEO of http://disrupts.com has Botox treatment to help him look less harassed in a youth-orientated work environment and to help improve his chances of getting a date”. To view this please visit: https://instagram.com/p/BJ0BNG_g-NT/. The aesthetic uses of Botox for smoothing lines and wrinkles are well known, however recent research has shown that Botox may not only help people to look better, it may also help to them to improve positivity and boost low mood. It is thought that as Botox freezes facial muscles, it helps people to tackle difficult situations with increased ease, as it is harder to react with visibly negative emotions. A recent study found there was a 52 per cent reduction in depressed patients injected with Botox, compared with just 15 per cent of those treated with a saline placebo. Another study looked at the treatment of Botox for frown lines. The cosmetic effect of this treatment is a smoother forehead and no scowl. Anxiety and depression scores showed that for those who had frown lines Botox treatment had more positive moods than those who had not had treatment. Frowning is associated with sadness, anger, fear, distress and pain, and so it is thought that the inability to express these emotions means that a negative mood is harder to maintain. Dr Totton is not only a skilled Botox clinician, but is also an award winning exponent of other non-surgical treatments including Silhouette Soft which allows a discrete and immediate non-surgical face lift. 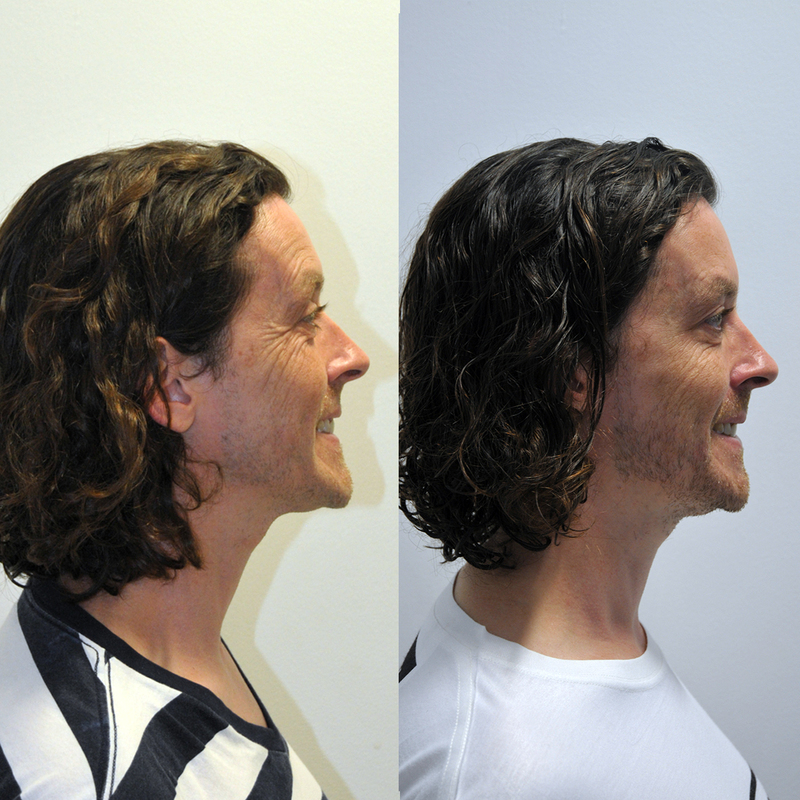 Because of this it is a treatment much favoured by male patients looking for ways to counter sagging skin on their faces and necks without anyone knowing they have had treatment.